The purpose of this research is to know the direct influence of transformational leadership, organizational climate, team work, and emotional intelligence toward organizational citizenship behavior of human resources at State Elementary School in Serang City. This study used survey methods, and included in quantitative research. The number of population in this study as many as 433 people, the sample amounted to 100 people, taken by random sampling technique. Method of data collection were conducted by interviews, questionnaires, and documentation studies. 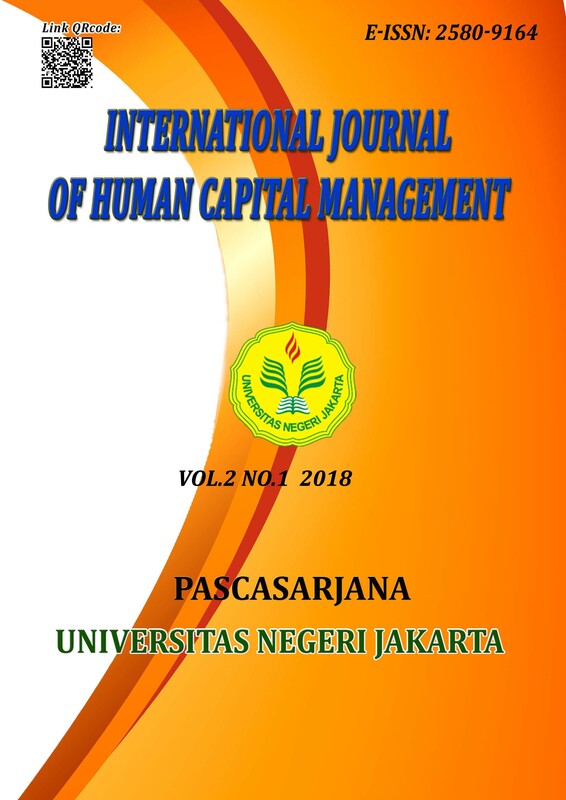 The result of the research shows that there are positive direct influence of transformational leadership, organizational climate, team work, and emotional intelligence toward the organizational citizenship behavior of human resources personnel at elementary school in Serang city. The emotional intelligence factor is the variable that has the greatest influence on the organizational citizenship behavior. Teamwork factor is the smallest variable of influence on organizational citizenship behavior. Keywords: Transformational Leadership, Organizational Climate, Team Work, Emotional Intelligence, and Organizational Citizenship Behavior.